Wine, is thy name the North Fork Valley? It doth seem so. August is filled with events that showcase the fruit of the vine in the Paonia area. We encourage you to come for a weekend, or a few days, and partake of the drink of the gods. Let me give you an overview of activities that will feature Paonia wines. August 5-7 – Follow the West Elks Wine Trail to vineyards throughout the Paonia and Hotchkiss area. Sample winemaker selected food and wine pairings, collect a complimentary wine glass, and collect commemorative winemaker recipe cards! Complete your tour with a winemaker dinner at your favorite cellar. For more information and to make a dinner reservation go to www.PaoniaChamber.com. August 20-21 – Food, Farm, Film and Wine Festival in Paonia. Come enjoy more of our locally grown produce and fruit as well as our wines. Information can be found at www.PaoniaChamber.com. August 20 – The Delta County Hospital holds its annual Wine Festival. This year the libations will include tastings from local microbreweries. The event will be held in Delta. Information and tickets can be obtained at www.dcmhfoundation.org. 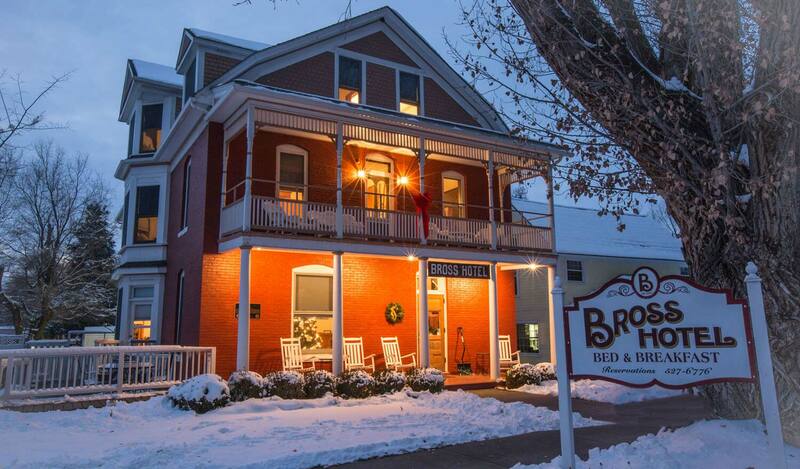 So don’t stay home in August, make a reservation at the Bross Hotel B&B and spend a few days enjoying the bounty of the North Fork Valley. The number to call is 970-527-6776.